Whenever a body is placed in a fluid, the fluid applies resultant up ward directional force on the body and it is called up thrust. It’s numerical value which is the product of volume of the fluid displaced, density of the fluid and acceleration due to gravity at the given place.Volume of the fluid displaced it depends on portion of the body that is there in the fluid. When the body is completely immersed in the fluid volume of the fluid displaced is equal to the volume of the body itself. When the body is partially immersed in the fluid , volume of the fluid displaced equal to the volume of the body that is there inside the fluid. According to Archimedes principle ,up thrust is equal to the weight of the fluid displaced by a static fluid. Basing on this concept we can find out the relative density of a solid as well as a fluid. Relative density of the fluid is equal to the ratio of the weight of the body in air to the loss of the weight of the body in water. 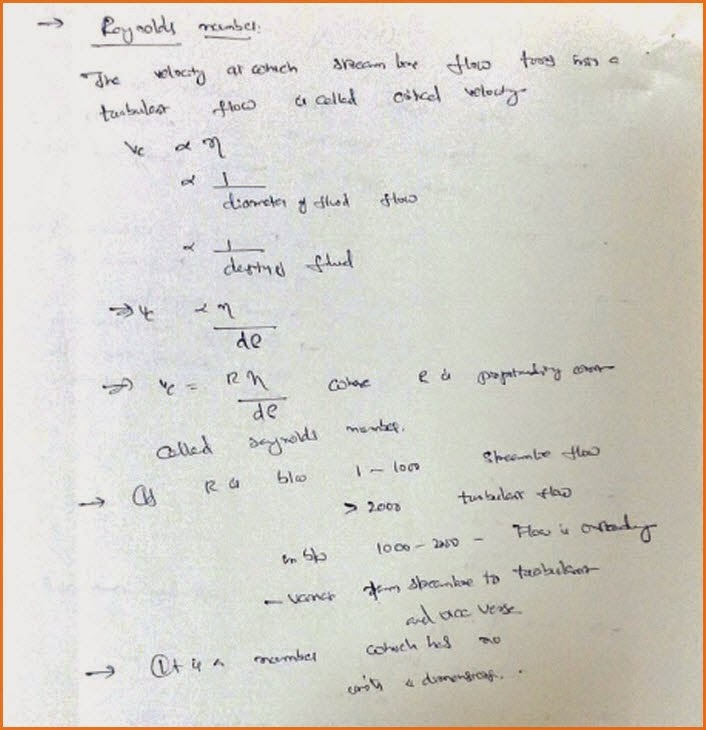 Relative density of the fluid can be determined as the ratio of loss of the weight of the body in a liquid of the loss of the weight of the body in water. Up thrust depends on the density of the fluid. As density of the sea water is more than that of ordinary water, upthrust in the case of the sea is more than that of river. Upthrust also depends on acceleration due to gravity. If the arrangement is placed in a lift and the lift is moving in upward direction than in the place of the acceleration ,we have two consider both acceleration due to gravity as well as the acceleration of the lift. Under different circumstances we can choose to the equation summed up thrust as shown below. Let us consider a body having some cavity inside. 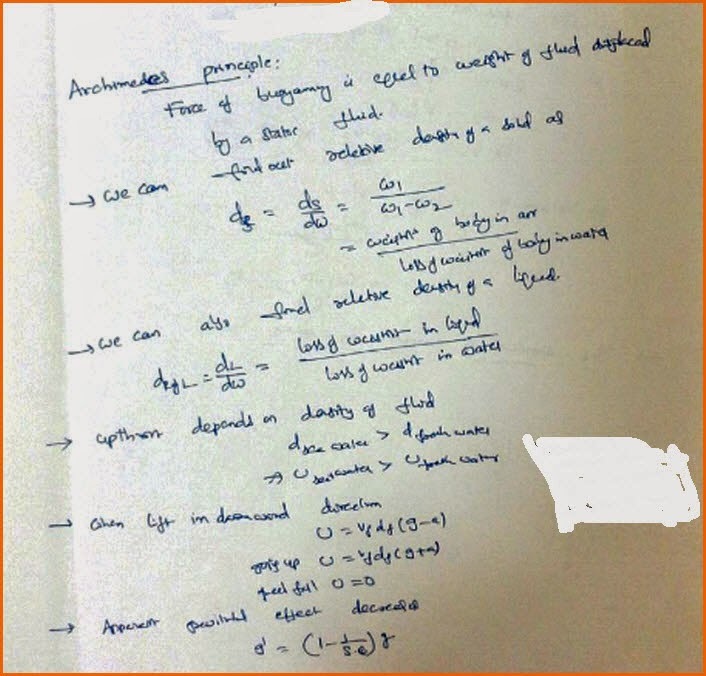 We can calculate the value of upthrust when it is immersed in water. 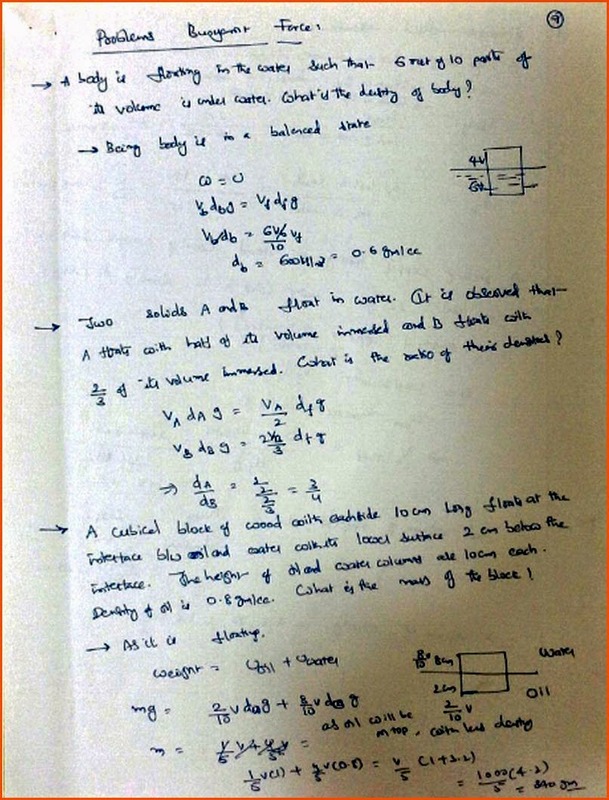 In the case of the volume of the fluid with can write the volume of the body and in the case of the density of the fluid we can write the density of water. Therefore we can get the volume of the body is the ratio of upthrust to the density of the water and gravity as shown. Upthrust is nothing but the difference in the weight of the body near to the weight of the body in water. By substituting this terms we can get the volume of the cavity as shown below. Whenever a body is in a fluid, the fluid applies upthrust, force in the upward direction. The direction of top thrust is always the same. Depending on the volume of the body inside the fluid up thrust will change. A body is floating in water such that 6/10 parts of its volume is under water what is the density of the body? In solving this problem we have to consider that weight of the body is equal to upthrust as the body is an equilibrium state. In the place of the volume of the fluid displaced, we have to write only six by 10th of the volume of the body cause only that much of the bodies inside the water. Two solids A and B float on water. It is observed that A floats with half of its volume inside water and B floats with 2/3 its volume immerse it find the ratio of their densities ? Even in solving this problem also we are having the same approach. The simple concept is when the body is an equilibrium state the weight acting in the downward direction is equal to the up thrust acting in the upward direction. A cubicle block of wood with each side a 10 cm long floats are at the interface of water and oil. The lower surface is 2 cm below the interface of the liquid. The height of oil and water columns each are 10 cm. Density of the oily is 0.8 g per cc then what is the mass of block ? In this problem the weight of the body is equal to the upthrust provided by both water and oil. In the case of the water volume of the fluid displaced is equal to 2 by 10th of the volume of the total body whereas in the case of the oil volume of the fluid displaced is equal to 8 by 10th of the total volume of the body. The problem can be solved as shown below. It is the study of behavior of liquids in motion.